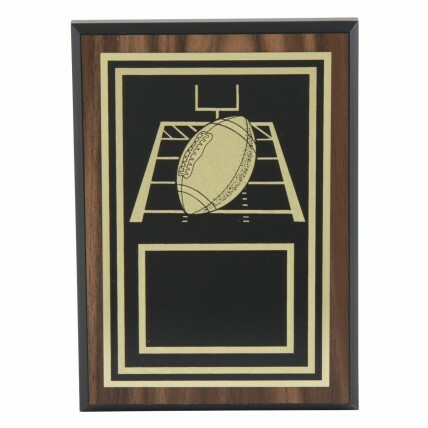 Get the Engraved Football Field Award Plaques for your favorite player or coach today! Featuring a Florentine bordered black and gold plate with a gold football emblem, these awards on a simulated walnut plaque make an elegant wall decor. Plaque size is 5" x 7" and includes 4 lines of engraving in the price.